Old tape effect patch (without a dedicated module like Magneto etc.)? I'm trying to create tape emulation, similar to effects like Cooper FX: Generation Loss for instance, where you can modulate pitch, add noise and eq the incoming signal. I tried modulating the pitch on the DLD from 4MS but didn't get the results I was looking for. I'm missing the noise response I guess? I'm not sure... Any ideas on how to achieve such effect? Problem is, that's not all tape does. When you hit it with a loud signal, for example, tape can saturate, which tends to create a nice, warm, low-level distortion aspect. Also, do you want to emulate brand new Ampex 499, or a crusty 40 year old Echoplex loop? This will also make a difference, as the latter will have physical degradation that adds "character" to a sound. Overbiasing ups your highs, some tapes have more noise than others, then there's motor noise/hum from certain tape delays, and so on. Short of ponying up big bucks for an actual tape delay, my suggestion would be to look into some VST emulators of these devices as the best possible solution. There's quite a few out there (some are freeware, even), and some do a very convincing job of sounding like their physical counterparts. 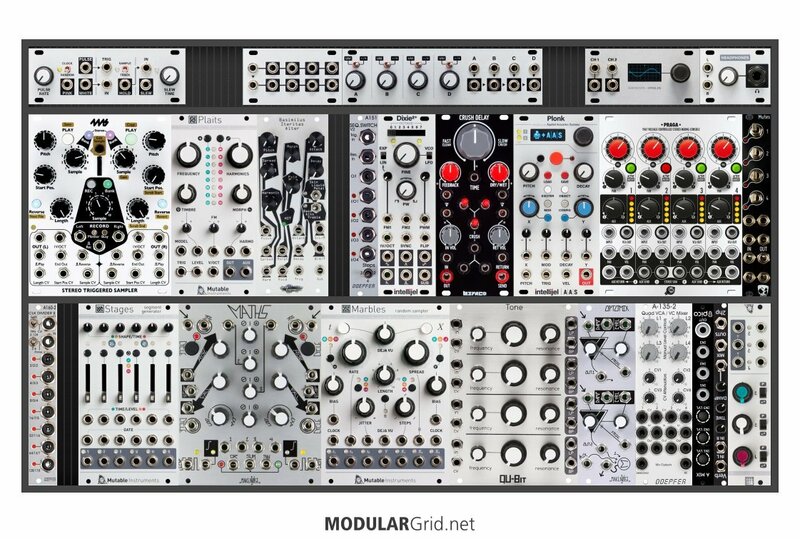 Otherwise, well, this might not be a thing that can be made to work 100% in a modular synth, since some of the things you're expecting from the sound just don't have module counterparts. That’s more like tape chorus edging into vibrato,I use a chase bliss warped vinyl for similar sounds, all I could really suggest is a couple of oscillators set up so the pitch and volume drift slowly through a set range with an LFO or such like, then filtered to taste.I’d definitely invest in a module to give you an FX loop for pedals though, the Busy Circuits SBG is great and gives you CV control over exp pedal inputs and the new 4ms listen I/O gives you two loops ( although getting the gain levels to suit two pedals/sound sources with one knob is a bit tricky ) or a true stereo I/O,or a loop and aux in. Learning synthesis with my rack, I am trying to avoid pedals and DAW for the coming year at least. Trying to create everything within the modular system. * Is it possible to modulate the pitch of my main output? * For overdrive, I guess I could use a VCA? * For chorus the DLD?